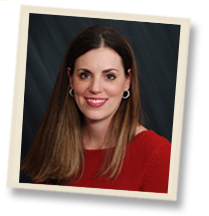 Dr. Suzanne Davis was raised in Shavers Creek area and graduated from Juniata Valley High School. She attended Penn State University and earned her B.S. degree in Exercise and Sport Science. Dr. Davis received her Doctor of Chiropractic degree from Life University in Marietta, GA in 2000. She then worked as an independent contractor in a Chiropractic practice in Marietta, GA for two years followed by two years in a practice in Massachusetts. In 2005, Dr. Davis and her husband, Grayson, moved back to the area where she started Davis Chiropractic, LLC in State College. Davis Chiropractic opened another location in the Shavers Creek area in June of 2009. Suzanne lives in State College with Grayson and their children, Mason and Sadie. Dr. Davis uses Thompson hi-lo chiropractic tables in her practices. She mainly uses the Thompson drop adjusting technique. She also uses some Diversified, SOT, Webster, and Activator techniques. She is certified in pediatric and pregnancy chiropractic care through the Academy of Chiropractic Family Practice and the Council on Chiropractic Pediatrics. Davis Chiropractic welcomes patients of all ages, from newborns to seniors, into the practice.